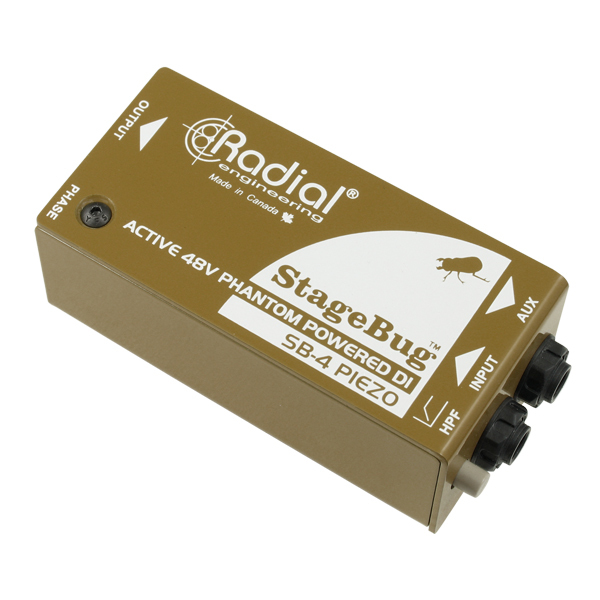 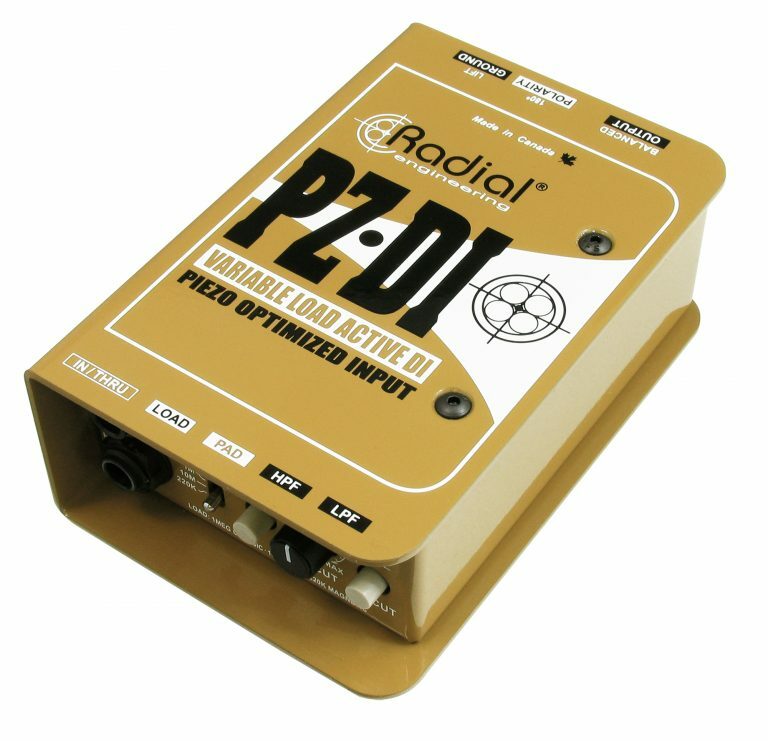 The PZ-DI™ is an active direct box that has been designed for acoustic and orchestral instruments, with a variable load that allows you to set the optimal input impedance for your pickups for more natural-sounding results. The PZ-DI has a variable load selector switch that allows you to set the input impedance of the direct box, so you can optimize the performance with your instrument's pickups. 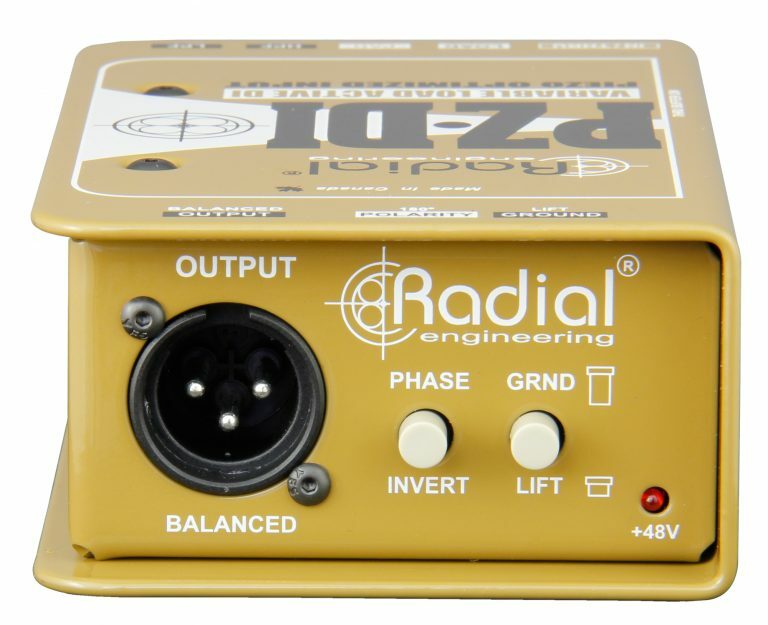 The 1 meg ohm position delivers the classic impedance found on most active DI boxes, while the 220k ohm setting warms up the tone of magnetic pickups to provide the feel and tone as if your instrument were connected directly to an amplifier. 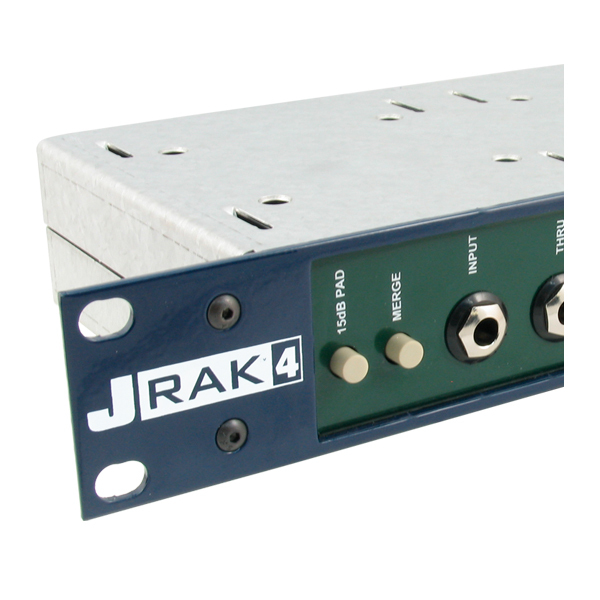 The third setting is an ultra-high 10 meg ohm impedance that is specifically designed for piezo transducers, helping compensate for the harsh or squawky tone that can occur when a piezo is connected to a lower impedance input. 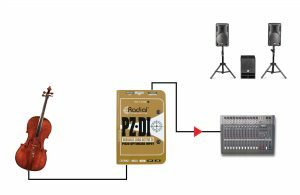 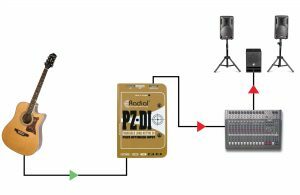 To remove unwanted resonance on stage and prevent feedback, the PZ-DI is equipped with a fully-variable low-cut filter that gently rolls off low frequencies. 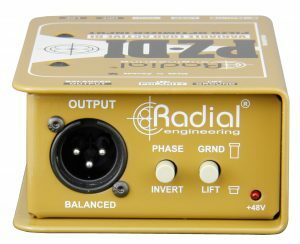 The roll-off point of this filter can be raised or lowered to match the frequency response of your instrument, with a lower point for acoustic bass and a higher setting for violin or banjo. 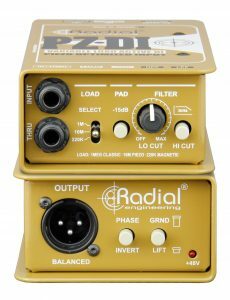 A switchable high-cut filter is also included, which is useful on instruments such as acoustic guitars that incorporate a battery-powered preamp, softening any harshness or high frequency edge for a smoother tone. 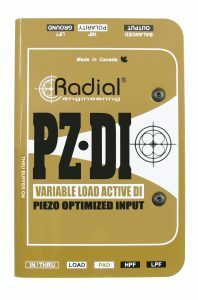 Piezo pickups often sound harsh and unnatural. 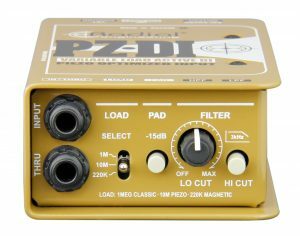 The PZ-DI solves the problem with a 10 meg-ohm input impedance that extends the frequency response and smoothes out the peaky edges. 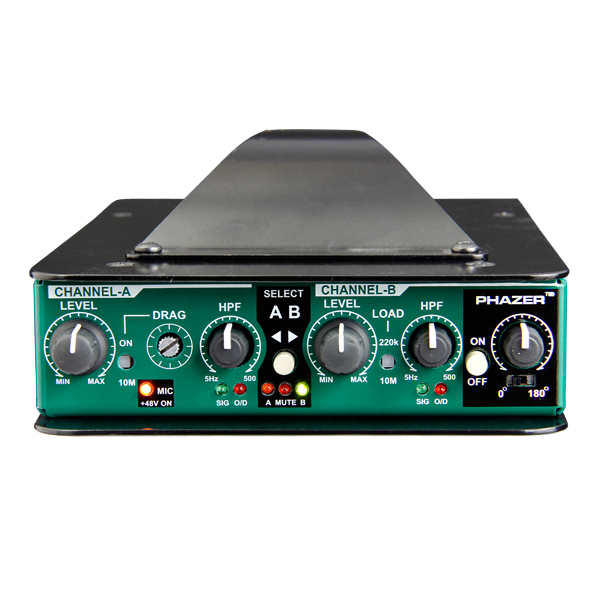 Adjust the low-cut filter to size the instrument and reduce unwanted resonance. The convenience of a built-in pickup and battery powered preamp makes it easy to plug-in and play. 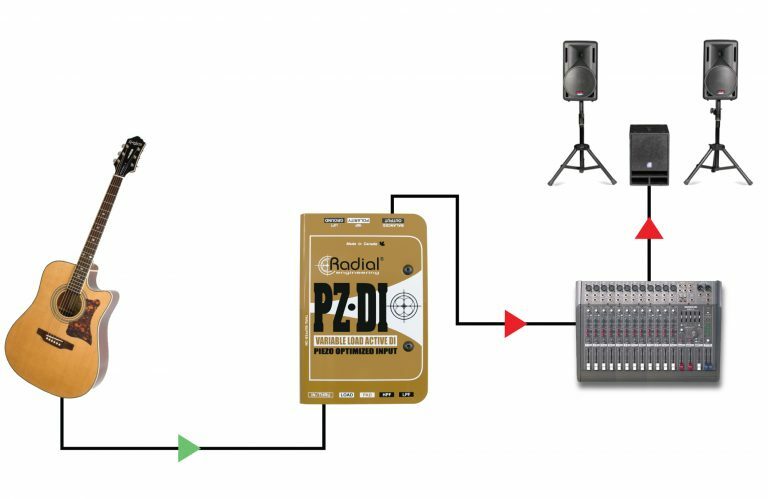 But with less than ideal electronics, these instruments end to sound brittle and unnatural. 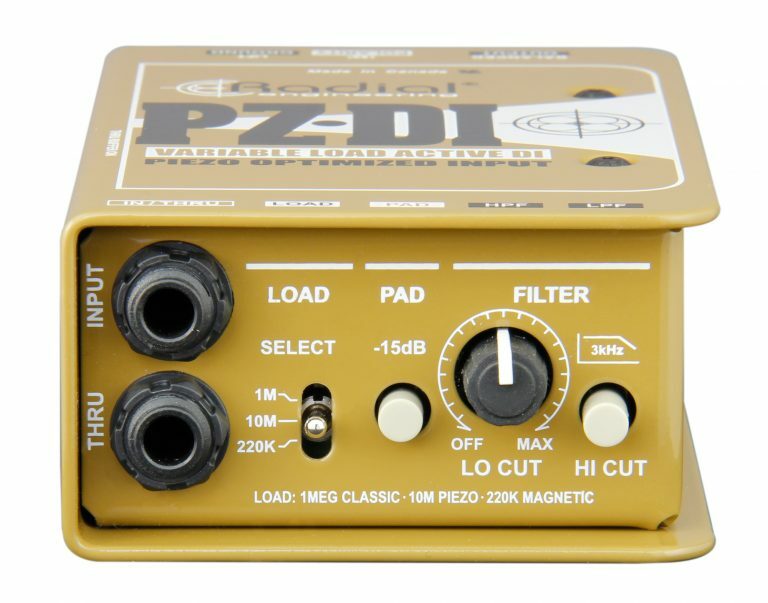 The PZ-DI helps with a low-pass filter that gently smoothes the top end plus a variable low-cut filter to eliminate resonance. 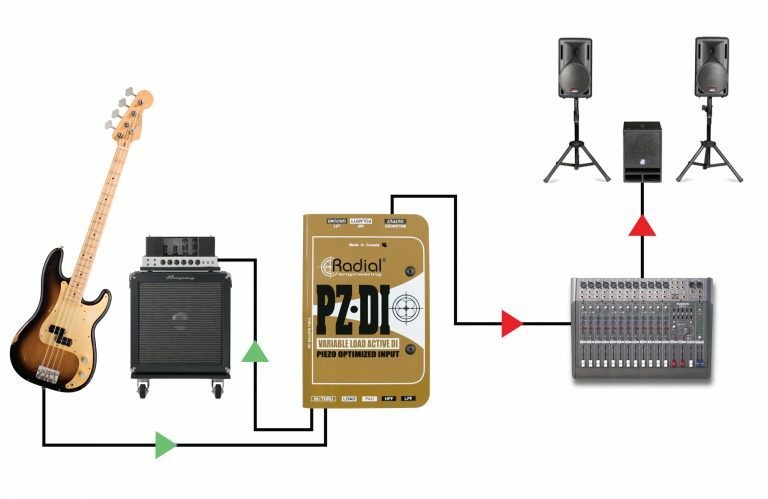 Optimize the tone of the bass by setting the load to 220k-ohm. 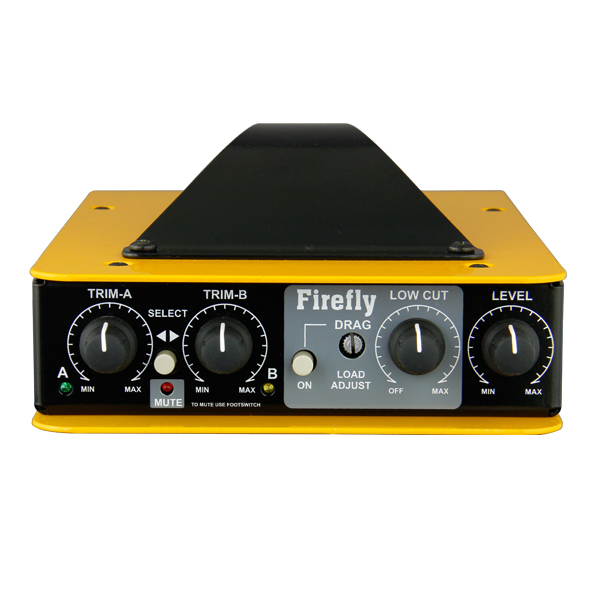 This produces a warmer tone and natural feel that is particularly useful when recording or when preparing to Reamp. 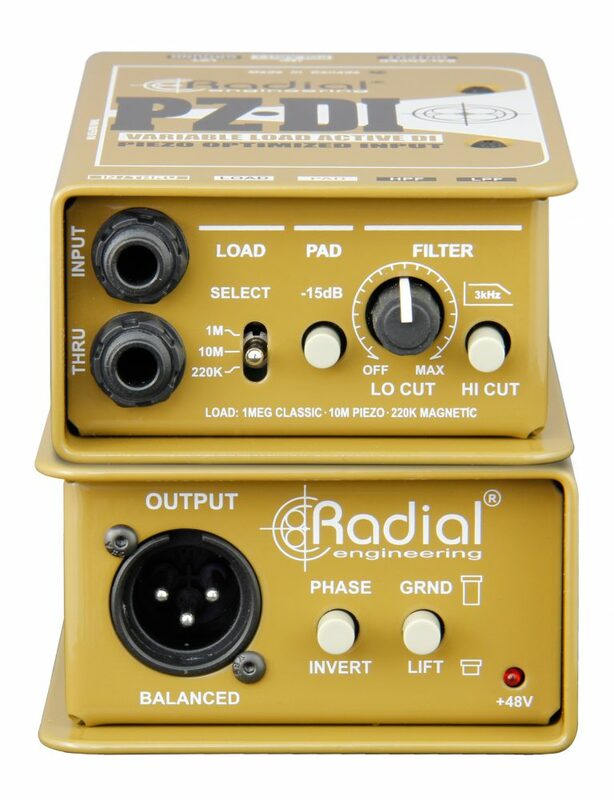 When touring with low-output vintage instruments, set the impedance to 1 meg-ohm to reduce the load. 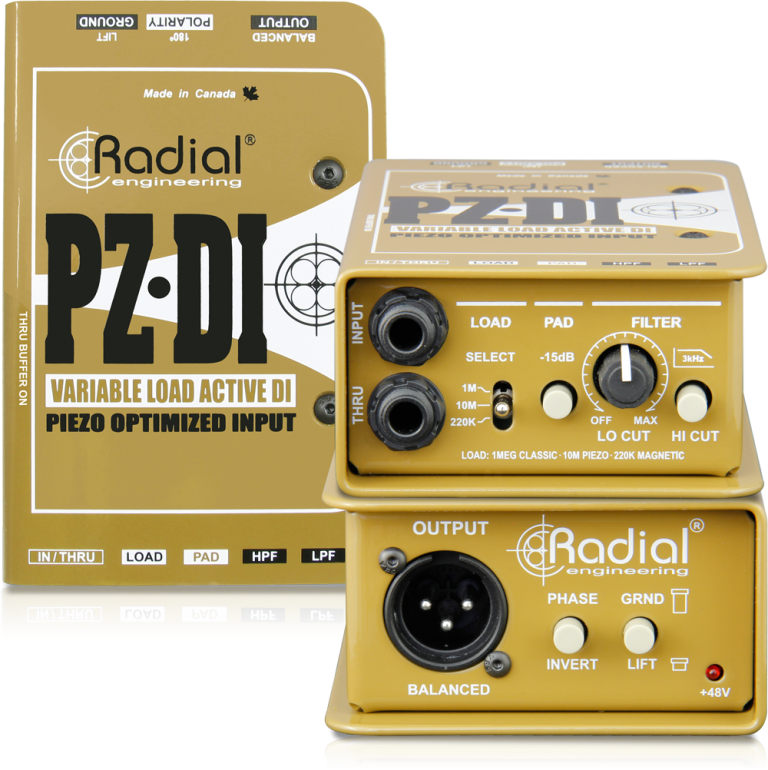 "Whether I am playing live or recording in the studio, the Radial PZ-DI makes my bass sound as fresh as a daisy!" 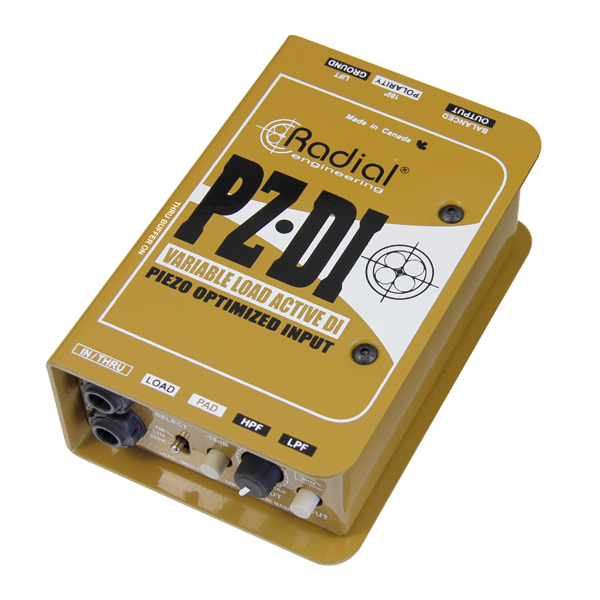 "I use the PZ-DI for guitar or banjo and while it has no EQ, it's very friendly to those instruments. The guitar pickup is a K and K and it works best using the PZ-DI flat, although sometimes it helps to dial the low end down a bit. 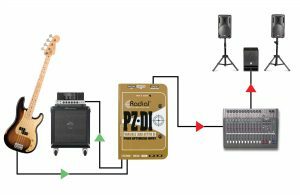 For the banjo, I tend to push the high end roll off button, but basically that box is just clean and fat and the sound guys have lots of good round signal to tweak."